On the culture of anti-culture: No wankers and no bastards! According to John Thompson the CEO there was a definitive moment in the company where he could tell that dysfunction had started to build up and they needed to invoke a change. - How John's first start-up deliberately developed an anti-culture culture. - His first company's unique all encompassing policy of "Don't take the piss"
- How John managed the transition from early stage start-up without any structure or processes to high growth company and successful exit. There is no right or wrong culture. Once two or more people start a business the culture simply evolves and develops, and it is up to the CEO and the leadership team to ensure that it develops in the right way as the business scales. If the culture is defined and implemented correctly, then team members learn how to achieve success and make an impact within the context of an effective culture, instead of being overcome by the confusion, drama, continual stresses and anxiety of a dysfunctional and ineffective culture. Most companies exploit a small fraction of the intellectual capital, knowledge and experience that is available to them from within their team. Companies that have developed and embedded a powerful culture, companies like Google, Apple, Facebook and Amazon are able to tap into and exploit almost all of it because their people want to, and are able to, fulfil their potential and give 100% of their discretionary mental capacity to the company. Each of the CEO/founders I have spoken to for this blog has been through their own unique process of understanding, defining and embedding the culture of their company. The CEO of UserReplay, John Thompson, is a serial entrepreneur running his second high growth software company who, as a CEO, has built two distinctly different company cultures. John served his start-up apprenticeship at Oxford based QSS, which grew from 20 to 250 in the four years he was there, and sold for $115m in 2000. He then co-founded his first start-up as CEO, CDL, which he sold for £12m in 2008 to a FTSE 250 company. In its early days CDL had an anti-culture culture where the motto was “No wankers and no bastards” and the only written policy was “Don’t take the piss”. 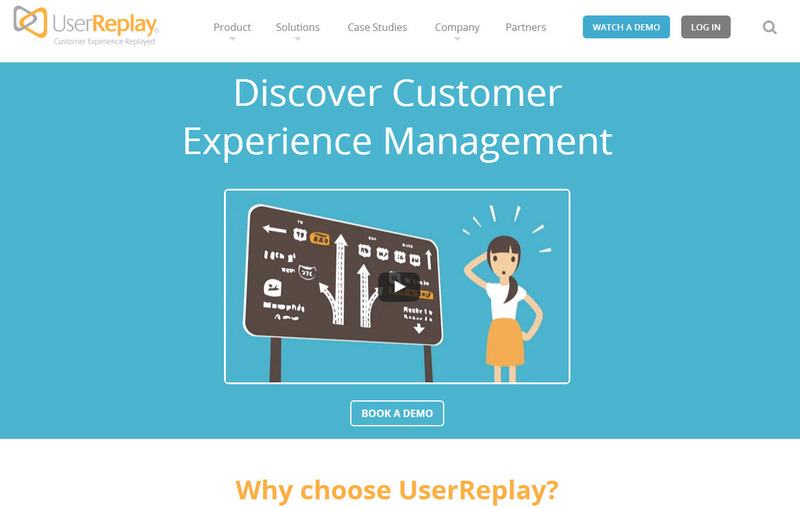 The second, UserReplay, is a work in progress with a defined culture, mission, vision and values. In this interview we discuss the differences between the two and he learnt about company culture on the journey. This is your second CEO start-up role, how is your approach to culture different the second time around? The culture and values I experienced in my early career, which were in larger corporate environments, made me rebel against what I believed to be a typical company culture where the values are put up on the wall as phony motivational posters, without being believed or lived by the people in the company. So when the four founders got together to create CDL we could start fresh, do our own thing and be as crazy as we liked. We didn’t actually do anything that crazy, but we did develop a unique anti-culture culture. We decided that our start-up would be a thing of purity and would be all about performance and have minimal rules for behaviour. We would have freedom from rules and all that counted was results. We did have one rule, which was very simple, easy to understand and to the point – we would have no wankers and no bastards! That was it. We’d all had to work with people in those categories in the past and knew they made life miserable, so we decided we would have none of that. If we did hire someone like that and we occasionally did, it was my job to fire them to preserve the energy of the company. Equally, if anyone felt tempted to behave in that way they knew it was risky so it was a useful cultural rule, however unusual. We would just make things happen without defining any rules. We didn’t develop any policies either because in our naivety we thought they were unnecessary for talented people. The company policy for every function and situation was just as simple - Don’t take the piss. There were no HR or expense policies or disciplinary procedures written down because we didn’t have any policies and procedures. I hated expenses policies – I once had a hot chocolate at Paddington station ruled out of policy as it was after 7pm, not very motivational after an evening working late. Actually HR wasn’t even a thing in our company. We were adamantly against writing anything HR related down, including our values, mission and vision, which was fine because we didn’t believe in them at CDL either. The result was that we developed a very passionate but sometimes argumentative culture, which was both good and bad. Everybody’s business was everybody else’s business, which wasn’t always a good thing. But by the same token the anti-culture culture must have worked because our people really cared about the business, no one left, and our team had an immense amount of energy. We attracted really great people. We successfully sold CDL to a FTSE 250 in 2008 creating a strong return for our investors. Under its new ownership the company has grown up, done very well without me, and gone on to thrive. Very argumentative, passionate, caring and intense. People worked hard and played hard, we didn’t take ourselves too seriously. It was high energy and fun. In the early days of the company we had a summer party where we invited partners and families. We hired a huge dragon shaped bouncy castle and long after the kids had gone to sleep, the team was to be found bouncing around on the castle in the early hours. This was where one of our internal anti-culture fit interview evaluation questions came from. When interviewing a prospective candidate we would ask one another “Can you imagine him bouncing on the castle?” It was very effective. The people we wanted in our team would like having fun. Wankers and bastards generally don’t bounce. They take themselves far too seriously for castle time. How did you handle the inevitable transition from early stage start-up to high growth company without any structure and processes? I remember it clearly, it happened in December 2006. There was a definitive moment in the company where I could tell that dysfunction had started to build up and we needed to invoke a change. I did a presentation to the team where I explained that we could no longer be a democratic family and if we wanted to succeed things had to change. Everyone was not going to be included or have a say in everything anymore. People would have to be more focused, responsible and accountable for delivering on their specific roles and responsibilities. They may be asked to do things that they wouldn’t necessarily agree with, but for the good of the company they would have to get it done. We then discussed what we, as a team, wanted to keep from the democracy period because we were moving into a new phase of the business and not all of it could be kept. It wasn’t easy, as a matter of fact it was difficult and painful, but everybody came out the other side and nobody left the company because of the changes. The team dealt with the transition and adapted to the new way of working, and we went on to strongly build the business towards its eventual sale. What was the biggest learning experience culture-wise from your time after you had sold CDL? After the sale I was promoted to run a large division of our acquirer, which had over 400 people and nine-figure revenues. This was a great experience for me and I ended up staying with the company for another 3 years after the acquisition, learning how to run a technology business at scale. From a culture perspective I learnt that creating an environment that encouraged the right behaviour from the team was super important if you really wanted to scale a business, and defining and understanding your culture was the best way to do that. I realised that the culture at CDL while great for the early days, was definitely not scalable. How did you come to join UserReplay? I eventually tired of corporate life and left to do some turn around work for VC investors, as well as a couple of non-exec roles. Simon Murdoch, one of our original investors at CDL suggested that I look at the UserReplay opportunity. I wasn’t really planning to go back into something so small or early stage, but I trusted Simon’s judgement. I initially joined as Non-Executive Chairman and then was asked by the founder and investors to become CEO in 2013. I really felt energised being back in a small dynamic company, which was refreshingly better than working in the corporate world and more positive than some of the challenging turn-around roles I had been involved in. It was great to feel the energy and drive of exceptionally talented people who wanted to change the world. It felt like I was going back 10 years to the start of CDL, but in a project with much greater scale potential. The UserReplay team had a strong culture as they had a lot of history together, which I really appreciated, and I was blown away by the talent of the technology team, and what they had achieved already with very little resources. We were much younger at CDL, which was a more social environment. At UserReplay our company’s average age is higher and most of us have family responsibilities. We are outside London in the Thames Valley, and outside New York in Northern New Jersey – tech suburbia, not tech city. All of us have been in start-ups before and we are doing it again, this time with the battle scars from past successes. Most of us have also been through a successful exit at some point in the past, so we know what it feels like. We don’t have much to prove other than being focused on execution and delivery. What situation was the business in when you joined and what progress has been achieved? In the case of UserReplay I wasn’t a founder, so fitting in to a new culture and team that was already in place was a new experience for me. When I joined we had little cash in the bank and only 2 customers, so it was early days and I see myself as a kind of “step founder”. I don’t feel any less committed to the project for not being there on day one. Things have progressed well with the business since 2013. We’ve raised £7m of VC funding, much of which is still in the bank, and we now have over 50 enterprise customers, £multi-million annual revenues, and we have grown the team from 6 to 43 (we will be 50 strong in a couple of months) and have opened two offices in the US. We are in a really big market with some game changing technology, which is very exciting. How have you approached culture development at UserReplay? I took my learnings from running the larger business and approached the business with the belief that developing the right culture and behaviours was very important. I sat down with the team and discussed what had worked for me in the past and explored the culture that had developed at the company prior to my arrival. We were very small in those days, so we all met and talked about what was important for each of us, and what each of us wanted to get out of the journey. We set the expectation that respect was important and, dysfunction would not be OK. From my previous experience it was clear that scaling successfully was all about the culture and the people - how we hired, how we worked together, how we communicated and collaborated. The battle in the market is always hard, and you need to be able to concentrate externally rather than having to focus on self-inflicted internal problems. 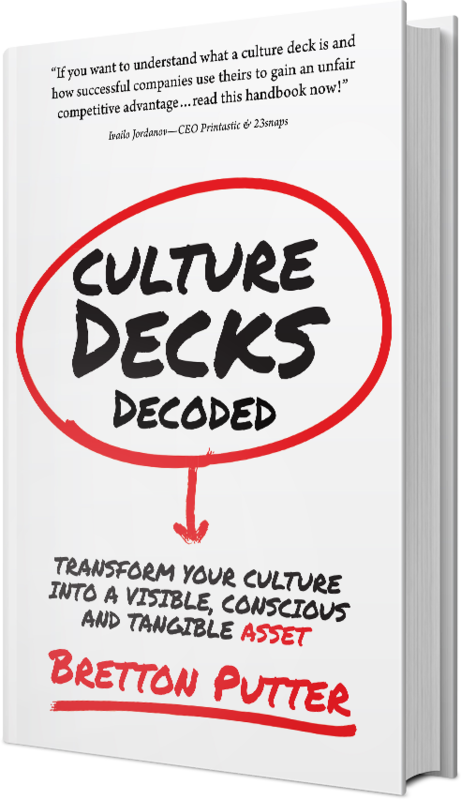 What did you do to define the culture? We held a number of discussions around culture and about 18 months ago one of our VCs, Episode1, introduced us to a consulting firm called DecideAct. DecideAct have developed a program designed for high growth start-ups, which is called the Optimal Path to Growth. The Optimal Path to Growth program delivers a shared plan and vision for executing rapid growth and was ideal for our stage of company, as we were preparing to scale up. We took the senior management team offsite for a strategy and values workshop where the DecideAct partners, Flemming and Bjarne, facilitated a deep dive process where we turned the undocumented culture and strategy we already had, into something more tangible and scaleable. We worked with them to build out our strategic plan and as part of the process we refined our mission, vision, and agreed the company’s core values. One thing that’s changed from my past companies is that we now have all of this written down. When you are growing your business quickly it’s important to have your strategic plan, culture and values clearly defined and documented. Our values are Responsibility, Innovation, Kindness and Respect, and Success. Everyone remembers Kindness and Respect, perhaps because it is unusual, but it took a while to embed the other values. I kept reminding everyone that Kindness and Respect without success is just a support group, not a start-up. Kindness and Respect without innovation would soon make us a dead bug on the windscreen of capitalism. Kindness and respect without responsibility is chaos. We need all four values together for the business to achieve success. What’s interesting is that Kindness and Respect is actually very similar to our motto at CDL - no wankers and no bastards. Although, 12 years ago we would have considered Kindness and Respect to be way too soft and fluffy. Both ideas come from my conviction that a man-year, i.e. a year of someone’s life, is the most valuable and irreplaceable commodity a start-up uses. It’s going to be hard building a start-up, so let’s make sure we treat each other well and support each other on the journey. How we spend our days is how we spend our lives, so lets take out the unnecessary bullsh*t.
Documenting our values and our strategy has contributed, alongside a lot of hard work, to us growing the business significantly. We grew quickly and cash efficiently enough to raise new funding of over 5 million USD in this year. I am normally very sceptical when it comes to using consultants, but in this case it was very useful to go through an externally facilitated process and do a comprehensive review of the business to determine how best to invest our resources for future growth. I have learned from my own non-executive work that sometimes an outsider can quickly see things that aren’t obvious when you are living it every day. What did you do in the early days to embed the core values you had defined? I would ask the team to list our values and strategic pillars, but often they would struggle to remember some of them. So I decided to start internal meetings and presentation with a review of the 4 values and the 4 strategic pillars. During meetings I would also threaten to pick a volunteer to describe to the team what the values and strategic pillars were. The list of values and strategic pillars started to appear on doors and walls all over the office and the team quickly learnt them. One of the team, I don't know who, has even written them up and stuck them to the door leading to the bathroom, so that you are reminded of them whenever the need arises. What else do you do to embed the values and strategic pillars? We have our “make a difference” awards for the person in the company who has demonstrated the best alignment with the culture each quarter. We provide monthly sessions with an external coach who comes in for the day and does confidential sessions with team members who want to work on their game, or their lives. We have an annual kick-off where we discuss and review the culture and values and what our plans are for that year. We hold quarterly half day workshop sessions where we will review the values and strategic pillars and we do team dinners every quarter, where we meet up for a curry and a couple of beers. How has the company culture developed over the past 18 months? We have grown the team to 43 and the culture has evolved as we have opened new offices and brought new people on board. The documented framework allows us to on-board new people into the company and the culture quickly and efficiently. Start-ups often have family trees, and we have groups in the company from our founder Phil Smith’s previous successful start-up, from CDL, as well as a group who joined us from IBM when it acquired one of our competitors. We have managed to mould the best of the three cultures and formed it into the UserReplay culture we have now. We have recently also started looking at the health and wellbeing of our team. Adrian Lloyd from one of our investors at Episode1 suggested a couple of months ago that we try a culture survey tool called OfficeVibe. It sends out random questions every week asking how everybody feels about the company and the culture. It takes about 30 seconds a week and it looks at our performance across 10 different variables and ranks us out of the companies in the system. We started off in the 15th percentile and we have now moved into the top ten percent. We want our culture to continuously improve. We were delighted to learn the team are passionate about our company, that they love the open communication we have, and that they would recommend us to their friends. We were also surprised we scored relatively low on well-being. This showed that we had room for improvement on stress, satisfaction with life outside the company, sleep and energy levels, healthy eating, and so on. 1. Is your well-being any of the company’s business? 2. And if you think this is the company’s business then what would you like us to do about it? I’m now quite a believer in well-being as a valid part of corporate culture. It uses up very little time and money, but creates energy and resilience. I’d like to think that as our start-ups consume valuable years from our careers we can also embed habits which can add years to our lives.